Home Movies Horror The Casket Creatures Return To Wolfton At Ludicrous Speed! 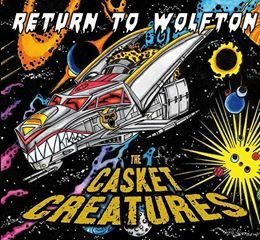 The Casket Creatures return with their brand new album, ‘Return To Wolfton’ and it is guaranteed to break necks and elicit devious cackles from horror lovers everywhere. With this being the third full length offering from the band it is a given that horror rock fans can expect nothing less than horrific fun and carnage from the folks that made Zombie Werewolves chic. As a brief bio for those not in the know. 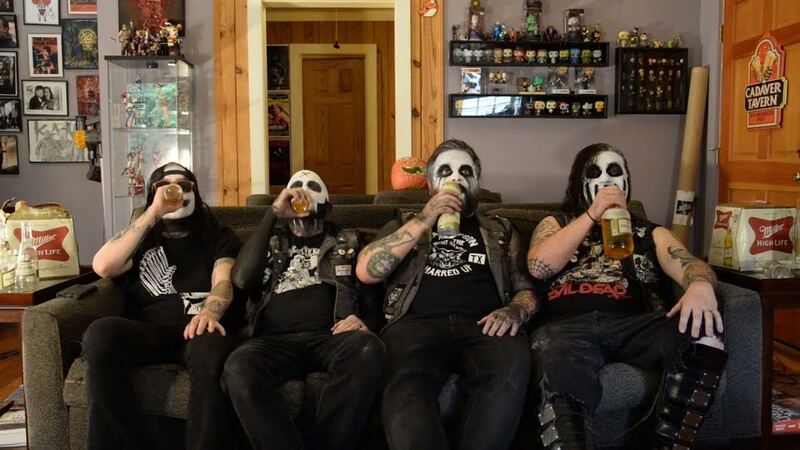 The Casket Creatures have been bringing Bible Belt Horror Rock to the faithful since 2010 and with the new LP they are determined to spread the shock to those in need of a bleed. Lead singer, Ryan Cadaver continues to amaze me with his continued growth as a singer and performer. With the new album he has raised the bar high for those that seek the shrieks and screams in their playlist. Guitarists Derek Obscura & Kevin Slayfield provide the brain smashing riffs along with Cliff Damnage who is easily the most malevolent bassist this side of Jerry Only. I could go into an incisive track by track review of the album where each strum and vocal nodule is dissected but that would take all of the fun out of it. Here it is plain and simple. This release is a balls to the wall, hold on to your scalp rocket launch that will be a drive or jam out to staple. If you are in the South be sure to trek to Days of The Dead: Charlotte this month and catch the Blue Track listening party and album release as well as a Saturday Night performance from the band. Check out The Casket Creatures and their new music video below.